Little boys absolutely love making things messy! (at least my 3 boys do) These free boy coloring book SVG files are perfect for that. Pair them with a set of markers and you will be good to go for any last minute gift that you might need! 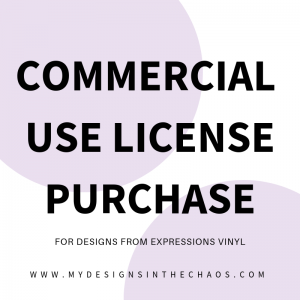 Also if you are looking for Girl designs check out this post here. We also have a full tutorial on how to create the finished product here. 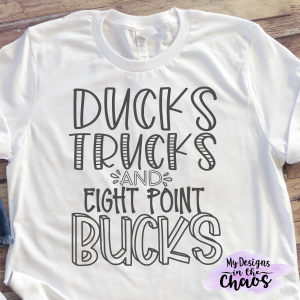 This is four designs in one. Please note that these designs in this bundle come blank WITHOUT a name. You can easily personalize them yourself. A couple of our favorite coloring book fonts are Uncle Grump (pictured) and Tinker. This is the design that my boys picked out. You can check out them creating their shirts here. I think this one is my favorite! What little boy doesn’t want to be a super hero and this design he can even personalize it to create his own. 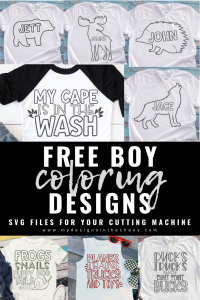 These free boy coloring book svg files are a pleasure for us to provide for y’all. We do request that you take a second before downloading the files below and pin one of the images above. This helps us to continue to provide awesome freebies and content for y’all. Thanks! Thank you for all these great, free, files! This was the smartest thing I seen for getting children envolved! Thank you!!! Thank you!!! Thank you, Michelle!!!! Thank you so much! I’ve been wanting some designs like this!! Awesome as always!!! THANK YOU and Merry Christmas!!! Thank you for the freebies. Merry Christmas and Happy New Years. May 2019 be good to you. My pleasure! 🙂 Glad you enjoy them!